Aloha! Taking inspiration from my aunt who has the nicest smelling home, we made sure to style ours with fragrance. I've seen other brands of scent warmers and wax melts, but for whatever reasons some would not really melt fully. 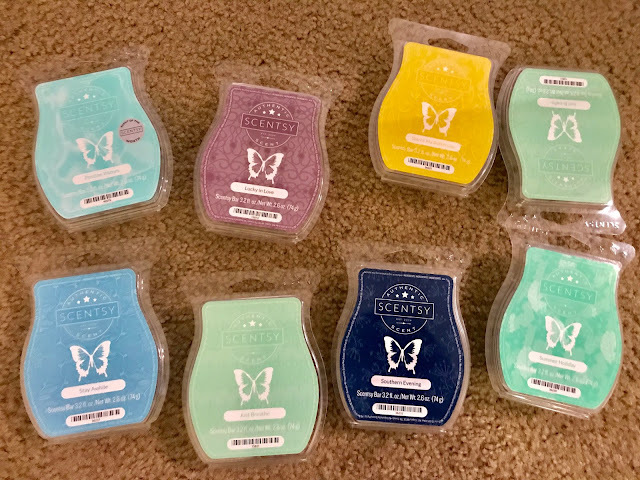 So I decided to go all the way with Scentsy. I'm sold! 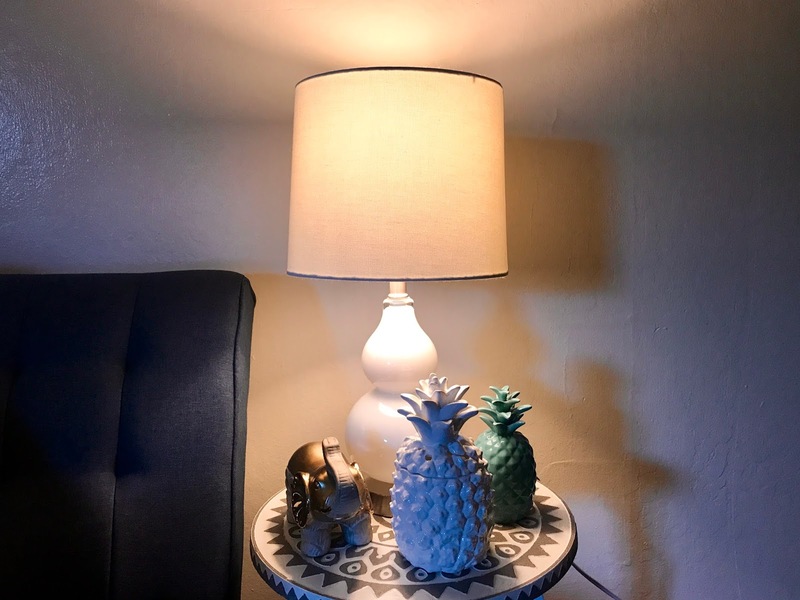 Spot a Scentsy. Coffee or Tea? I love both. Keep calm and drink coffee and tea. 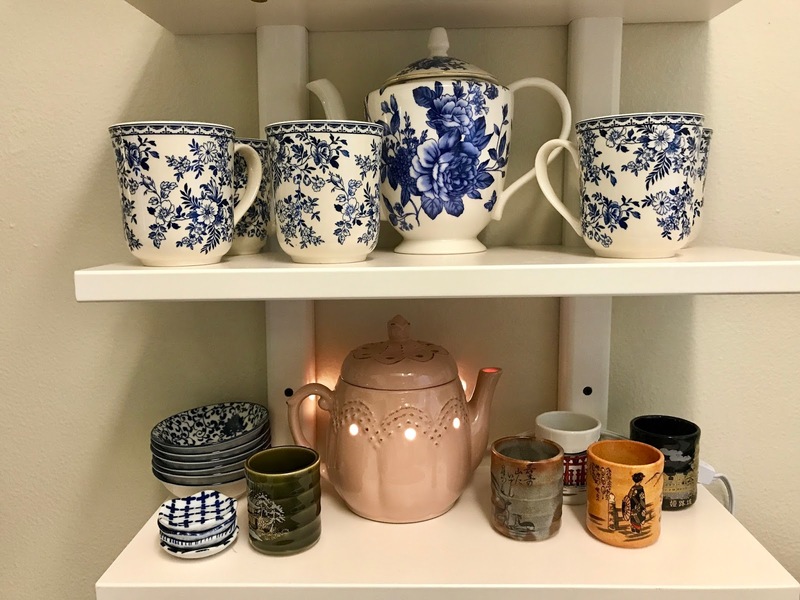 I'm showing you 2 of 5 layers of my Tea Pot collection, as the rest are still work in progress. The tricky part, unless you know a friend or a friend of a relative that does Scentsy Distributorship, you have to get it online. 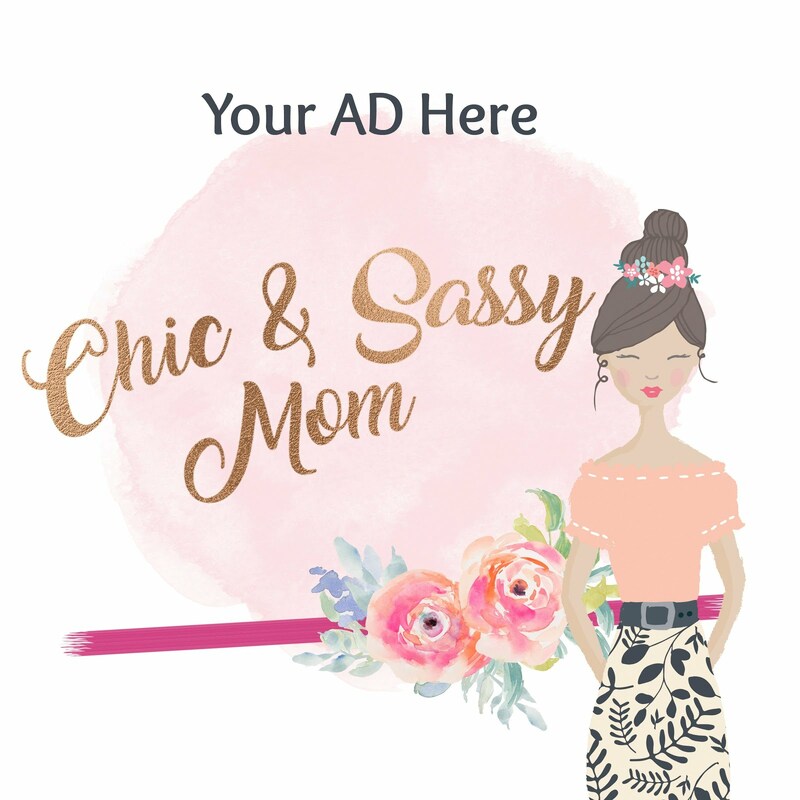 It's by this official Scentsy Website (https://scentsy.com/). When you search Scentsy, you will be directed to a lot of sites. I'm not sure it matters, but on the main website, you have to click find a consultant to be directed to that consultant's website, even if you will not do it right away, on your checkout on the main site you will still be asked for your area code to match you with your consultant. (As a possible distributor, I like that the main site redirects business to you). Though I don't think it will matter in the end if you will just click random Scentsy Selling sites because you all pay for shipping and there's no meet ups or pick up options. 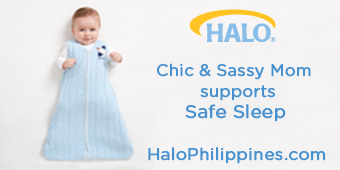 But to be safe, best to be redirected to a distributor site through the main site. Oh shoot, I just saw that most warmers are on 10% off promotion for August. I just bought a ton of stuff from few weeks ago. Hah. Scentsy products are pricey. The Blue Diamond Warmer was for $45 USD + Tax + Shipping. Wax melts go for $5 ++. Oh well, Scentsy seems addicting worth it. I will let you know if I find cheaper alternates that work as well. Anyhow, you wouldn't miss a Scentsy delivery. Unboxing. Such TLC during packing and shipping. Scented Wax Melts were packed in insulated foil with a gel ice pack. Eenie, meenie, miney, moe. 🤔 Since I'm not sure yet what will be my go-to scents (except for Just Breathe, I'm an avid fan of mint etc. ), I selected by name and description. Hmmm, imagine. Goodness, it seems I got most right. To date, Just Breathe is a must have, plus Summer Holiday. I love, love, love that there is a wide selection of Scentsy Warmers that perfectly matches our home decorating theme. Whoot Scentsy Warmer and Night Light. For wisdom, magic and mystery, the owl seems like a good idea as accent in our study table. 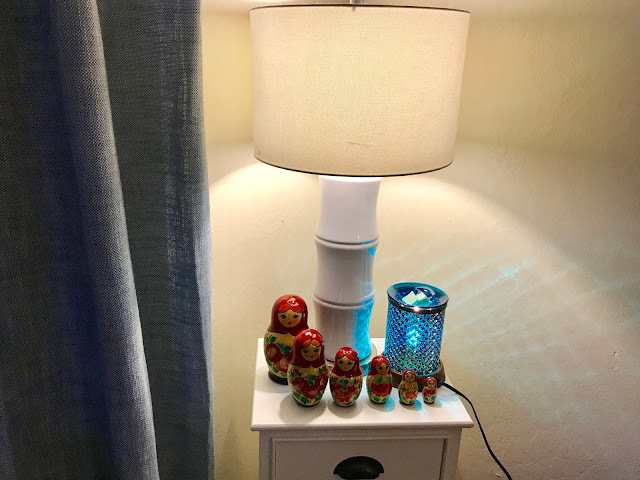 My dolls from last time and Blue Diamond Shade Warmer is the perfect highlight to our blue-themed home. Oh hello, welcome, welcome! ;-D I'm liking pineapple, I have a lot of them now. It is for warm welcome and luck.